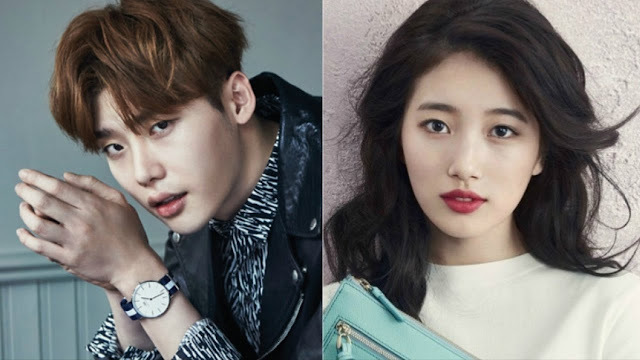 DRAMAS QUE SE ESTRENAN EN SEPTIEMBRE: WHILE YOU WERE SLEEPING EL MÁS ESPERADO. 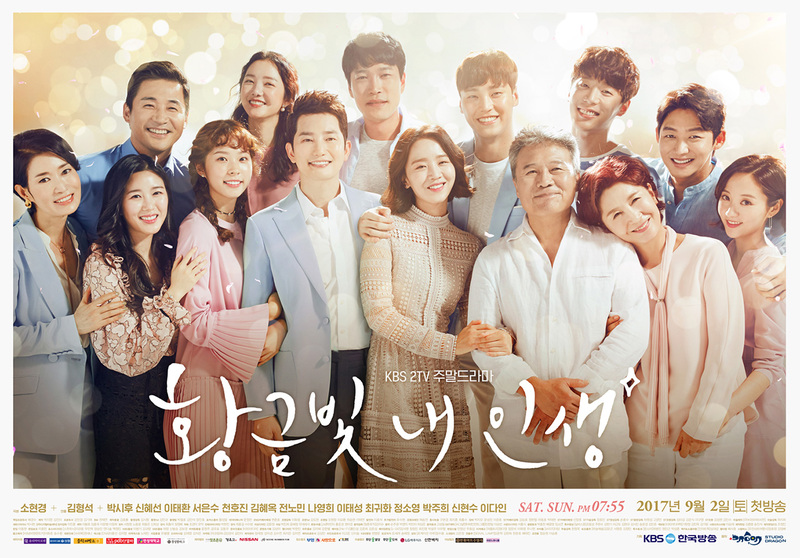 DRAMA FAMILIAR Y ROMANCE QUE SUSTITUYE A MY FATHER IS STRANGE, SE ESTRENA EL SÁBADO 2 DE SEPTIEMBRE A LAS 19:55 HRS., HORA LOCAL DE COREA DEL SUR POR LA CADENA KBS2. PROTAGONIZADA POR SHIN HYE SUN, PARK SHI HOO, SEO EUN SOO Y LEE TAE HWAN, ENTRE OTROS. CONTARÁ CON 50 EPISODIOS. DRAMA FAMILIAR QUE SUSTITUYE A YOU ARE TOO MUCH, SE ESTRENA EL SÁBADO 2 DE SEPTIEMBRE A LAS 20:45 HRS., HORA LOCAL DE COREA DEL SUR POR LA CADENA MBC. PROTAGONIZADA POR CHOI SOO YOUNG, OHN JOO WAN, SEO HYO RIM Y PARK JIN WOO, ENTRE OTROS. EL DRAMA CONTARÁ CON 50 EPISODIOS. LEE ROO-RI TRATA DE CONSEGUIR UN TRABAJO EN UNA GRAN EMPRESA, PERO SE DA POR VENCIDA. ELLA NO TIENE UNA BUENA RELACIÓN CON SU ESTRICTO PADRE. LEE ROO RI DECIDE VIAJAR A UN PAÍS EXTRANJERO PARA ESCAPAR. ALLÍ, ELLA CONOCE A JUNG TAE YANG QUE VIVE BAJO EL LEMA DE YOLO. VAGA POR EL MUNDO Y DA PRIORIDAD A SU FELICIDAD, PERO TAMBIÉN LLEVA UNA HERIDA EMOCIONAL.DESPUÉS DE CONOCER A JUNG TAE YANG, LEE ROO RI TIENE UN PUNTO DE INFLEXIÓN EN SU VIDA. DRAMA DE CORTE JUVENIL QUE SUSTITUYE A SCHOOL 2017, SE ESTRENA EL 11 DE SEPTIEMBRE POR LA CADENA KBS 2 Y SU EMISIÓN SERÁ LUNES Y MARTES A LAS 22:00 HRS., HORA LOCAL DE COREA DEL SUR. PROTAGONIZADA POR BONA, CHAE SEO JIN, DO HEE, SEO YOUNG JOO Y LEE JONG HYUN, ENTRE OTROS. EL DRAMA CONTARÁ SOLO CON 8 EPISODIOS. DRAMA QUE SUSTITUYE A THE KING LOVES, SE ESTRENA EL 11 DE SEPTIEMBRE POR LA CADENA MBC Y SU EMISIÓN SERÁ LUNES Y MARTES A LAS 22:00 HRS., HORA LOCAL DE COREA DEL SUR, PROTAGONIZADA POR HAN YE SEUL, KIM JI SUK, LEE SANG WOO, RYU HYUN KYUNG, OH SANG JIN Y AHN SE HA, ENTRE OTROS. HASTA EL MOMENTO NO SE HA DADO A CONOCER CON CUANTOS EPISODIOS CONTARÁ. TRES MUJERES DE 35 AÑOS COMIENZAN SU PROCESO DE CRECIMIENTO A TRAVÉS DEL AMOR Y LA AMISTAD. 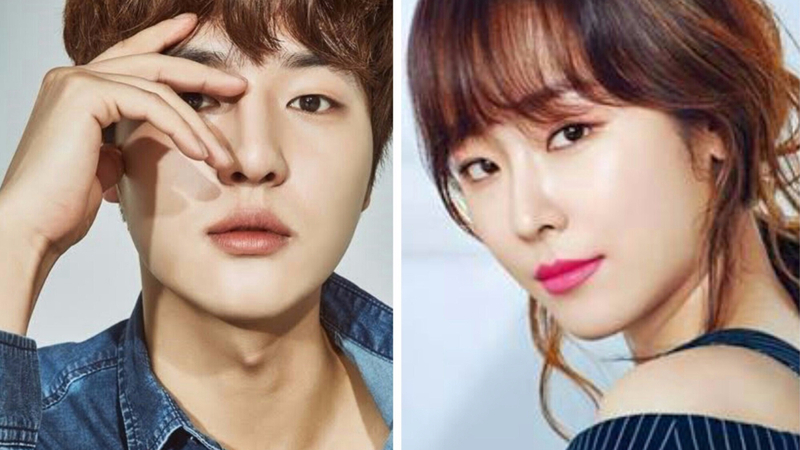 DRAMA QUE SUSTITUYE A BRIDE OF THE WATER GOD, SE ESTRENA EL 4 DE SEPTIEMBRE POR LA CADENA DE TELEVISIÓN POR CABLE TVN Y SU EMISIÓN SERÁ LUNES Y MARTES A LAS 23:00 HRS., HORA LOCAL DE COREA DEL SUR, PROTAGONIZADA POR KIM JOO HYUK, CHUN WOO HEE, PARK WON SANG Y LEE SEUNG JOON, ENTRE OTROS. EL DRAMA SÓLO CONTARÁ CON 8 EPISODIOS. KIM BAEK JIN ES UN PRESENTADOR, REPORTERO Y LÍDER DEL PROGRAMA DE INVESTIGACIÓN "ARGON". ÉL NO TOLERA LOS ERRORES Y SOLO SE FÍA EN LOS HECHOS. LEE YEON HWA ES UNA REPORTERA CONTRATISTA. 3 MESES ANTES DE QUE SU CONTRATO ACABE, ELLA ES ASIGNADA A TRABAJAR EN "ARGON". ELLA TIENE CONFLICTOS PARA OBTENER UN TRABAJO PERMANENTE COMO REPORTERA. TRABAJANDO CON KIM BAEK JIN ELLA RECIBE ENTRENAMIENTO Y A SU VEZ CRECE COMO REPORTERA. DRAMA QUE SUSTITUYE A FALSIFY, SE ESTRENA EL 18 DE SEPTIEMBRE POR LA CADENA SBS Y SU EMISIÓN SERÁ LUNES Y MARTES A LAS 22:00 HRS., HORA LOCAL DE COREA DEL SUR, PROTAGONIZADA POR SEO HYUN JIN, YANG SE JONG, KIM JAE WOOK, JO BO AH, LEE MI SOOK Y JUNG AE RI, ENTRE OTROS. EL DRAMA CONTARÁ CON 40 EPISODIOS CADA UNO CON 30 MINUTOS DE DURACIÓN Y DOS POR DÍA. UN DRAMA QUE HABLA SOBRE LA TECNOLOGÍA Y LA COMUNICACIÓN ACTUAL, Y SOBRE COMO ESTA INFLUYE EN LAS RELACIONES AMOROSAS.HYUN SOO ES UNA ASPIRANTE A ESCRITORA. ELLA UTILIZA EL NICKNAME DE 'JANE' PARA CHATEAR EN LÍNEA, LUEGO CONOCE A 'CHAKHAN SEUPEU' (GOOD SOUP), UN ASPIRANTE A CHEF LLAMADO JUNG SUN. ELLOS DECIDEN CONOCERSE EN LA REALIDAD. 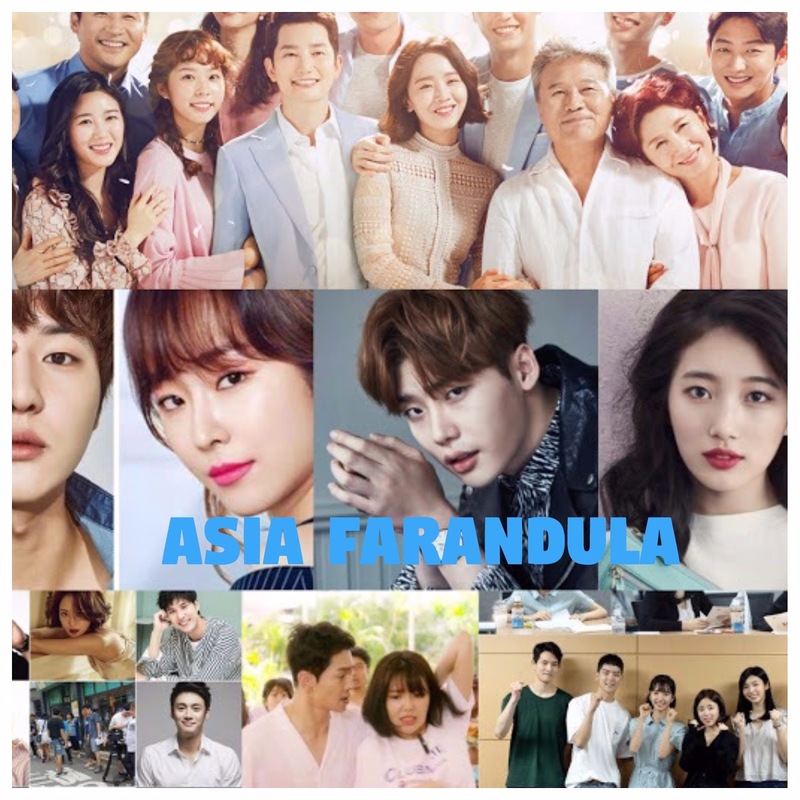 DRAMA QUE SUSTITUYE A REUNITED WORLDS, SE ESTRENA EL 27 DE SEPTIEMBRE POR LA CADENA SBS Y SU EMISIÓN SERÁ MIÉRCOLES Y JUEVES A LAS 22:00 HRS., HORA LOCAL DE COREA DEL SUR, PROTAGONIZADA POR LEE JONG SUK, SUZY, LEE SANG YEOB, PARK JIN JOO, JUN HAE IN Y KIM MIN JAE, ENTRE OTROS. EL DRAMA CONTARÁ CON 32 EPISODIOS DE 30 MINUTOS CADA UNO, 2 POR CADA DIA, ESTE DRAMA ES PREPRODUCIDO POR LO TANTO YA TERMINARON GRABACIONES MESES PASADOS. JUNG JAE CHAN, ES UN FISCAL NOVATO SIN EMOCIONES Y ANTISOCIAL, SIN MIEDO A DECIR LO QUE PIENSA. SU NATURALEZA ANTISOCIAL LE PERMITE EVALUAR CASOS SIN INVOLUCRAR SUS SENTIMIENTOS E INVESTIGA TODO DE MANERA MÁS FRÍA Y CALCULADORA. SIEMPRE ERA EL ÚLTIMO EN CLASE DURANTE SUS DÍAS DE ESCUELA MEDIA, PERO TRABAJA DURO PARA CUMPLIR LAS EXPECTATIVAS DE SU PADRES. NAM HONG JOO, ES UNA EX-PERIODISTA QUE RARAMENTE SALE DE CASA Y ESTÁ DESEMPLEADA. ELLA SOLÍA ADMIRAR Y SER FAN DE JUNG JAE CHAN QUE ES UNA ESTRELLA EN ASCENSO EN LA PROFESIÓN LEGAL. DESDE QUE ERA PEQUEÑA PUEDE VER VISIONES DEL FUTURO EN SUS SUEÑOS SOBRE COSAS MALAS QUE SUCEDERAN HACIENDO QUE SIEMPRE SE SIENTA NERVIOSA. ELLA ACUDE A JAE CHAN POR AYUDA. ÉL A PESAR DE NO QUERER INVOLUCRARSE CON HONG JOO NO TIENE MAS REMEDIO QUE IMPEDIR QUE ESTOS EVENTOS OCURRAN. El teaser de While you Were sleeping es más falso, jajaja parece unieron Pinoccio con Uncontrollably Found.